Infographic by Annie @ PhD in Parenting. The code for the Hunger Equations INFOGRAPHIC can be found at the PhD in Parenting Blog. There’s been a recent backlash against the Girl Scouts of America’s policy of inclusion, after a Denver, Colorado troop allowed a transgender girl to join their ranks. 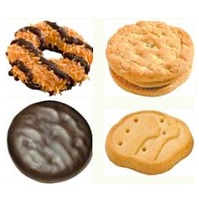 Three troops in Louisiana have disbanded over this after their leaders resigned, and more recently, a video of a 14-year-old girl calling for a boycott of Girl Scout cookies has quickly gone viral, spurring reactions from many (including this fabulous tumblr). 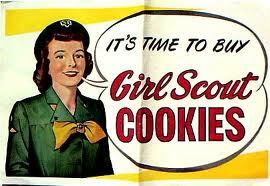 After watching the video, I found myself getting lost in the website that’s promoting it, Honest Girl Scouts. This group seems to have a host of issues with the GSUSA, and they have no problem letting you know about them. In their “cookie boycott flyer,” they list all the reasons folks should stop buying those delicious cookie shaped bits of tasty, tasty, crack. 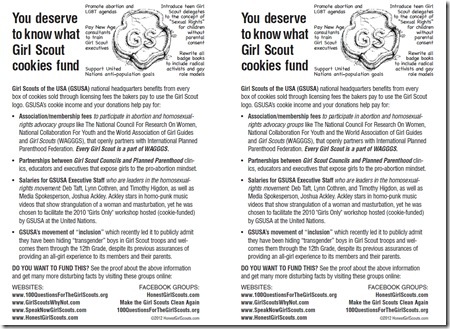 In addition to disbanding some troops, thereby not allowing any girl in these areas the opportunity to join the scouts, some parents are calling on a cookie boycott to protest the GSUSA’s inclusion of transgender girls into their organization. With a video quickly going viral, a 14-year-old girl, identified as Taylor from California, speaks on behalf of the group, Honest Girl Scouts, and is calling for a boycott of Girl Scout cookies. To call for a boycott of cookies based on a decision to become more inclusive on the part of the GSUSA seems to go against everything the organization actually stands for. I spoke with Peggy Orenstein, author of Cinderella Ate My Daughter, a book that takes a look at modern girlhood. Orenstein weighed in on the current Girl Scout issue. I know for a fact that I, too, will be doubling my order of Thin Mints this year in support of a national organization that welcomes, supports, and empowers all girls. 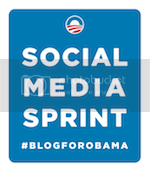 This was a guest post I originally wrote for my friend Ashley‘s blog, Small Strokes. Planting seeds, pulling weeds and harvesting greens…on the surface these activities hardly scream feminism, but when you dig a bit deeper, it’s almost hard to miss the strong connection between food, farming and feminism. For me, it all boils down to a sense of self-sustainability: if I’m able to grow some crops and turn them into something both edible and nourishing, I’ve added just one more way to ensure both my independence and ability to take care of myself. There is also the slight satisfaction I get (beyond biting into a tomato picked straight from the vine!) knowing I that excel at something that is traditionally a male endeavor. 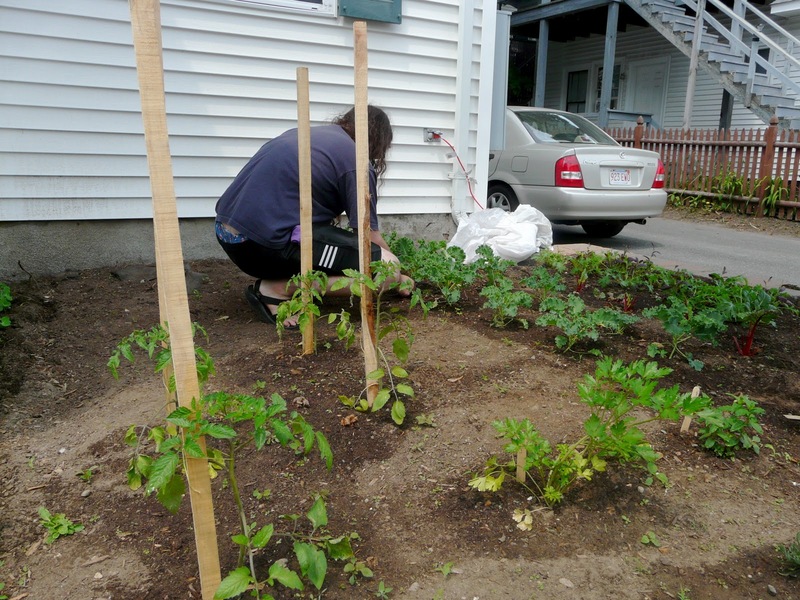 This is the third year that we’ve planted our small urban vegetable garden. We don’t have an actual yard or lawn, and instead ripped out the few ornamental bushes the previous owners planted. With only a six by ten square foot plot of dirt surrounded by bricks, I’m able to grow broccoli, various types of tomatoes, cucumbers, green beans, lettuce, kale, basil and mint. I can then take my veggies and herbs and turn them into delicious, healthy meals for myself and my family. While some might scoff at what I do and suggest that I’m conforming to a ’50s ideal of the wife who stays home and cooks for her family, I find that it’s completely the opposite for me. Instead of playing into a stereotype, I’m actively transforming the notion of what a homemaker is with my little garden. I’m taking the power back, working hard, and choosing to eat my own produce rather than patronizing big box stores. Like the feminists of the ’60s, ’70s & ’80s, I’m driven by the desire for self-sufficiency and autonomy as well as achieving personal satisfaction. Yet instead of heading out to the office, I head to my garden. The idea of small and even urban homesteads has only grown in recent years, with women raising backyard chickens, planting gardens and learning skills that had been put to the wayside for most, like canning, spinning yarn, baking bread from scratch, etc… Various books and articles have even been written about these women, showing that most have either Masters and Doctorates but choose instead to see their workspace within the home rather than outside of it. Author Shannon Hayes even went as far as coining the term “Radical Homemaker,” when explaining this phenomenon and sharing the stories of women living this life. This idea of radical homemaking is not just for the middle-upper class, however. Every week I head to a nearby inner city to tutor teen moms who are working towards their GED. I’m there once a week, and in the short time I spend with them, I invariably get into discussions about their food choices. Bags of Doritos, piles of Slim Jims, huge bottles of soda and fast food containers litter their desks. The girls are quick to remind me that these choices are cheap and quick. I remind them that they have access to wonderful community gardens right there in the city (and even one tended to by the program they’re in). While I may not change their eating habits overnight, they do get excited about the prospect of being able to grow their own food and control that aspect of their lives – something essential for these young women, many of whom feel that their lives have spun out of control. As for me? 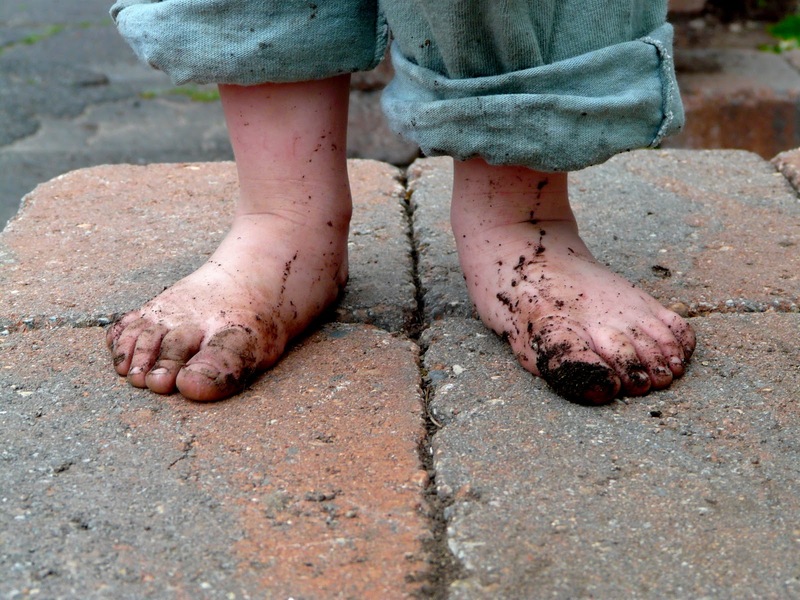 While I do still work part-time, albeit from home, the rest of my time is spent with my son either in the garden or working with the bounty we reap from it. In the summer we can freshly picked strawberry jam and in the winter we bake fresh bread. It instills a sense of pride in me that I’m teaching my young son all of these tasks as well. As a feminist, ensuring that he not only knows, but appreciates and enjoys having these skills is important to me. One day, hopefully, he will be the one wowing his family with blueberry pie and homemade pretzels. For now he’s just happy getting his feet dirty along with me and eating broccoli straight from the stalk. This is my favorite way to eat kale (or any hardy green!). It’s both easy and super quick, making a great side to any meal. (You can also put some tofu or a fried egg on top of it and bam! – the perfect meal). It’s also pretty awesome because you can always change up the flavor profile (instead of tamari/soy sauce/sesame seeds you can use a little chili powder & cumin and add some black beans). Wash and steam some kale. 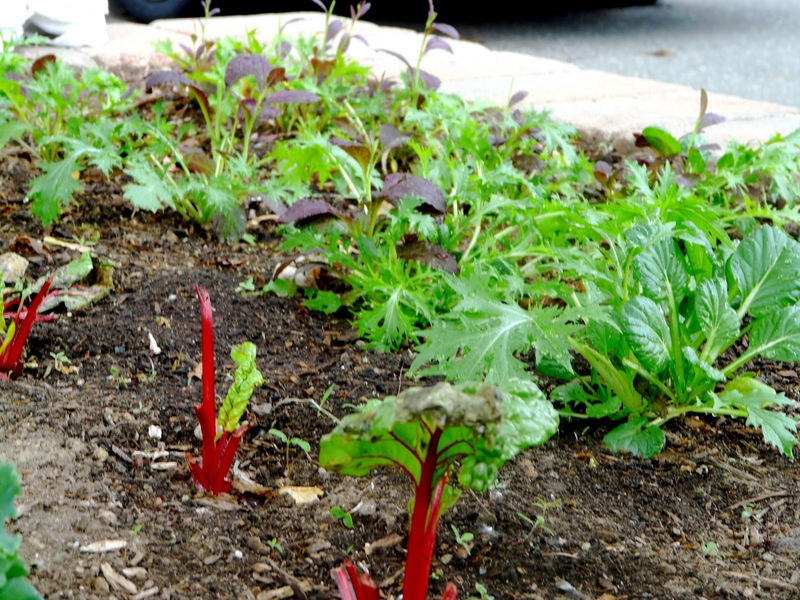 My favorite, which we grow in our garden, is dino kale. I don’t have a fancy steamer and instead just tear up a bunch of kale, add it to a saute pan with a bit of water and cover. Let it cook for no more than 5 minutes. You want the greens to still be a bright color and not super wilted and mushy. 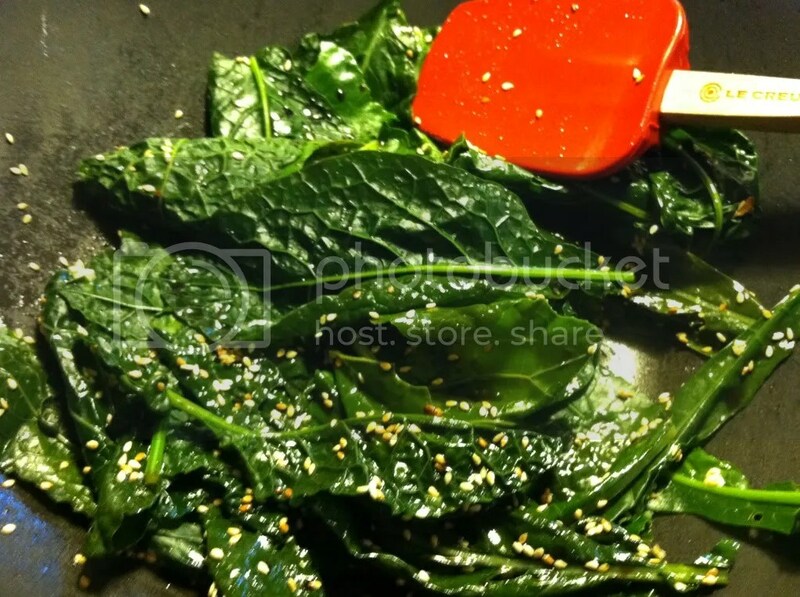 While the greens are cooking, toast a handful of sesame seeds in a wok. Add 2 teaspons of olive oil, a couple of cloves of minced garlic and a tablespoon of either tamari or soy sauce. Once the garlic is cooked through, turn off heat and mix in kale. Delish.